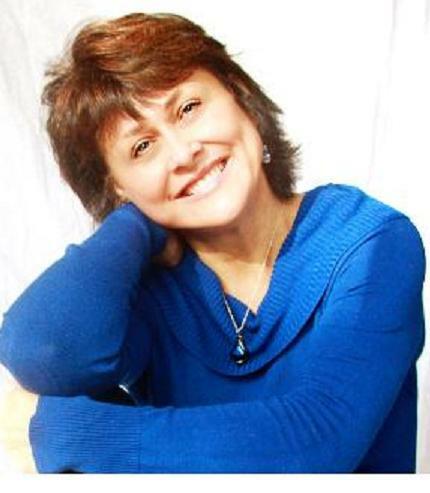 A lovely lady with a lot of wisdom and a great sense of humor, Paula Renaye has joined us. Paula, tell us about yourself! I grew up in a small town in Texas that is a little bit like my fictional town of Kickapoo in my novels. Okay, it’s a lot like it. I lived most of my adult life in Colorado, about 20 years, lived for a year in Missouri during my divorce and have been in Arkansas for about eight now. For a long time, this question would give me a “deer in the headlights” look. Still does to some degree. Having been through divorce myself, I understand completely. What got you moving again? With both my children getting married in other countries, I had to learn to do things on my own. I decided that since I didn’t know what I liked, I’d just do everything! I am trying all kinds of new things now and have a long list of more to do. I even tried a rock climbing gym. I was not enthused about the possibilities, but once I got started, I had such fun! I leased a boat slip last summer. My daughter and her boyfriend brought their party barge over and I absolutely loved being out of the lake. I felt like a kid, diving in over and over again just because it was fun. After years of riding a horse for “hikes” I have recently and repeatedly found myself using my own two legs to scurry up down and around the “mountains” here in downtown Hot Springs, Arkansas. My little legs–not to mention my heart and lungs–whine and cry at first since where I start out is pretty much straight up, but they’re getting better. Glad I am finally enjoying it–and life! You live in a beautiful part of the country. What’s your favorite season? I love the fact that we have all the seasons here in Arkansas! Soon the Tulip Trees will be covered in blooms and not long after that all the other flowering trees. Summer is hot and perfect for fun at the lake, and fall is fabulous too because of all the bright and vibrant foliage. And when the leaves fall in winter I can see the mountains from my deck. So, I guess I love them all! I am a lifelong Parrothead. I have wanted to see Jimmy Buffett live in concert for over twenty years. When I lived in Denver, I tried and tried to get tickets for for his Red Rocks shows both online and in line and never could. A few weeks ago, I somehow managed to push the right buttons at the right time and the computerized ticket gods came through with floor seats for his show in Little Rock. Yay! I love Jimmy Buffet and saw him live, too! How about movies–what do you like and who are your favorite actors? Oh, I have so many! It depends on what mood I’m in at the time–whether it’s a romantic comedy period, sci-fi escape or dramatic moment. I am always looking for deep meanings, even in–maybe especially in–movies where you wouldn’t automatically expect them. I watch a lot of romantic comedies because I enjoy them and I always find something to write about for my blog and newsletter. Lately, I have enjoyed Crazy Stupid Love, The Ugly Truth, He’s Just Not That Into You, Bridesmaids, Something’s Gotta Give and yes, Eat Pray Love, as well as many others of that variety. I have a few odd “likes” for various reasons, such as Disney’s Tangled, because of the “overcoming programmed fears and limiting beliefs” theme. And, as stupid as it is, I like Hot Tub Time Machine because it really is about the choices we make and growing up–at whatever age you are. I love Reece Witherspoon, Katherine Heigl, Sigourney Weaver, Meryl Streep, Diane Keaton, Julia Roberts, Sandra Bullock, Emma Stone, Jami Lee Curtis, Angelina Jolie and many more I can’t think of at the moment. Jack Nicholson is a favorite. Tom Hanks too. Of course, I have to list Brad Pitt, George Clooney and Ryan Gosling because, well, how can you not? Again, too many to list. I think maybe we are “movie” sisters from a different…whatever. Sounds to me as if you are enjoying life and learning a lot about yourself! Now, let’s talk BOOKS! What genre do you write? I write both fiction and nonfiction. My first mystery novel, Hot Enough to Kill, was published in 1999, and I’m working on the fourth book in that series. I also write self-improvement books. And if you’d read my mystery novels you would understand why the self-help book thing makes perfect sense! Name a few of your novels! Hardline is in the process of being repackaged for foreign markets and will soon be released with a new title and cover. I also have a relationship book in the queue. It is a no-holds-barred, cut-to-the-chase look at love and life–and how the two co-mingle. It tells it like it is even if it’s uncomfortable and gives ways to stop all the game playing and nonsense and be adults. That title is still in the works too, but updates will be posted about both soon on my website. Okay, so how did the writing bug get close enough to bite? Writers must be readers, and I’ve loved books since I was old enough to hold one. But what really launched me into becoming a voracious reader—and writer—was: a retired colonel, a high school English class and a romance novel. After retiring from the Air Force, Colonel Bob White, for reasons known only to him, decided to come to the little town in Texas where I lived and teach English for a couple of years. Looking back, I’m not sure whether he deserved a medal or a mental health exam. Whatever the case, not long into the school year, Mr. White held up a big fat paperback book and announced that we would all be reading it. Much groaning and whining ensued. And when we learned that every minutely-lettered page was filled with glorious details of life in Saxon England circa 1066, well, I think some of us cried. However, when I got the dreaded book in my hand, I was confused. The title was odd—The Wolf and the Dove—and the cover had a man and a woman on it. This did not look like any other book I’d been forced to read in school. And who was this Kathleen Woodiwiss anyway? I dutifully started reading—and couldn’t stop. Yep, it was an epic romance novel. Written in 1974, it was a product of the times, and wild stuff for a sheltered little high school girl. I don’t recall anyone else being nearly as enthralled as I was, but Mr. White’s brilliant assignment set me on a path of reading—and, of course, concurrent learning—that also “trained” me to be a writer. By the time I got the crazy idea that I could write my own novel, I’d read hundreds of books. Although I didn’t consciously try to, or even realize that I had, I’d picked up an intuitive feeling for the structure of a story and could hear dialogue as a natural flow of conversational in my head. I could also see the scenes like a movie, which made them easy to write. So, you ask, how did it happen that I went from writing funny mysteries to self help books? Well, if you’d read my fictional tales you wouldn’t need to ask that question! I intend to do that very soon! What is your favorite genre to read and when do you find time to read with all your other activities and writing? Let’s go with what I used to read because I deliberately don’t read a lot when I am writing so I can keep myself clear on my own thoughts and style. But when I did read, on the fiction side, I was a big fan of Carl Hiaasen, Janet Evanovich, Joan Hess, John MacDonald, Larry McMurtry and the like. In nonfiction self-improvement genre, I’ve read extensively–not many I haven’t read. Since I am immersed in the self-improvement world, I’ll talk about that. I am a big fan of Harville Hendrix fan because his classic Getting the Love You Want was pivotal to my beginning to understand how unconscious factors and subconscious beliefs had driven me to make the life choices I had. Louise Hay’s You Can Heal Your Life is also one of my “go to” books that I recommend. Ditto for Richard Bach’s Illusions, which is fiction, but still one of the most thought provoking books I’ve ever read. On the self-help side, I tell it like it is whether it feels good or not–to me or the reader. If I’m not willing to bare my soul and show how this stuff plays out in real life, how can I expect them to? I don’t get hung up, or weighed down, with theory or clichés because those don’t make a lot of sense when you try to apply them effectively to the real world. I know what it feels like to feel so confused you don’t know which way is up. I know what it feels like to have your world fall apart and feel like you can’t survive it. I know what it feels like to make really stupid mistakes. I also know how great it feels when you figure out how you don’t have to anymore. My, we do have a lot in common! Let’s talk about your writing process. In general, how long do you spend writing a book? It depends, of course. I wrote the first draft of Hot Enough to Kill in six weeks. Turkey Ranch Road Rage took me about ten years. 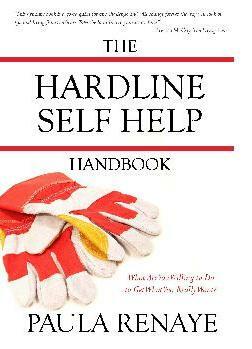 I started The Hardline Self Help Handbook in January 2011 and had it in print by April. Ten weeks or 10 years? Depends on how you look at it. I had to do the 10 years of self work at least to have what I needed to get the book written and published in 10 weeks. At the moment, I write at my dining room table since all my office furniture is in storage. I write 6-16 hours every day, at least 6 days a week, and mostly 7. I have taken a little time off in the last couple of months, which has been nice. But for a year, my keyboard was an extension of my fingers. I write a ton of articles these days and a lot of those are spurred by things in my life or things I see on TV. I get inspired or annoyed and I write about it. In fiction, I write when my characters pop into my head and demand it. No, I have no idea where this will go. And really, what fun would it be for me if I knew what was going to happen? Well, back when my mother was living, if I needed an idea for one of my mystery novels, I would simply call her up and ask what was going on at the Dairy Queen. It was too easy. Seriously, you can’t make that stuff up. And, of course, I also had my own childhood traumas and life to pull from, not that anything I write has a single bit of truth to it, it is fiction, after all. On the nonfiction side, it is all the brutal truth. I’ve done my best to give as fair renditions of the situations as I can–I don’t let myself off the hook–and even Rebound Guy. If you can edit your own work, you are a better woman than I am! I can read the same sentence 52 times and never ever see that the word “the” is missing or that there are two “tos,” to name a few. Yes, I need help! On the fiction side, I like to have a content editor and then a copy editor. The early versions of my books will prove that “liked to have” and “did” are two different things. I had content editors for the first two books that helped me with plot flow, character consistency, anachronisms and “You called her Jane in Chapter 2 and Joan in Chapter 8” kinds of things. I did copy edit and revise the versions that are now on Kindle so hopefully those are much cleaner than the print versions. For Hardline, I had two editors. A content editor and a copy editor, Di Freeze, who went through the “final” versions more times than either of us would like to remember. Best: Winning awards is really nice–a literary award on the fiction side and 4 national book awards for Hardline. Having Hot Enough to Kill featured in Redbook was a pretty big deal too, but the best thing about being an author is hearing from readers on how my work affects them. Not long after my first mystery novel was released, I received a couple of letters chastising me for not including a warning label. One had spit crackers on her computer screen while reading an excerpt and the other had squirted soda out her nose and onto the book. Now, really, can it get any better than that? Okay, maybe it can, because on the nonfiction side, I hear amazing stories of how people have changed their lives from doing the work in The Hardline Self Help Handbook. I love making people laugh and providing a fun escape–it is glorious fun for me too. My passion, however, is helping people realize their potential and purpose and live the life of joy they truly deserve. Worst: I joined a critique group that was lead by a published author who lived and breathed the techniques of Dwight Swain and Jack Bickham. He was convinced that the key to the brass ring called “published author” was in those books. I bought it and my natural talent and creativity began to die a slow and painful death. It took me a couple of years–and two more novels that were never published–to get back to myself. What is the best/worst advice you have ever gotten about writing? Best: Write what you know–and love. If you are going to write it, you better have been a long time reader of it. Back when it seemed like romance was all the rage, I heard writer after writer say they were going to write romance because it sells. My question was always, “Do you read it?” Uh, no. Well, then, no! I can’t write a psychological thriller or a horror novel either for the same reasons. Just by reading voraciously in your genre, you naturally understand the elements and pacing and what readers expect. And PS: It’s not about being a great writer, it’s about being a great storyteller. All you have to do is make your reader want to read the next line and be happy they did. Worst: Follow the rules. (See above on the writing critique thing.) I’ve taught a lot of fiction writing workshops, and the people who have the most difficult time writing are often English teachers. Their jobs–their lives and careers–depend on words being presented correctly. That’s essential, of course, but in fiction–as in the real world–most of us rarely speak that way. Making sentences structurally correct makes for stilted and unnatural dialogue, to put it kindly. Even in the narrative, it isn’t about making the most correct sentence; it is about engaging the reader emotionally. Left brain has to sit quietly while right brain runs free and loose. Do you have any sage advice for a new author? For the novel writer: Forget about being a great writer and just tell a great story. Grab me by the throat with the first line and don’t let go. Keep me wanting to know more. For the nonfiction writer: Know what you want to accomplish with the book–what you want your readers to take away–and be sure you do it. For any writer: Be willing to expose your wounds and write until it hurts–from laughter and through the tears. Healing arts or maybe interior design. Before we close, is there anything I didn’t ask that you would like to share? I have said way too much already! And we’ve enjoyed every minute of it, Paula! Where on-line can people find more information about you and your books? There are tons of inspirational articles and self-help tips as well as free stuff on my website . Sign up for the newsletter and get a free audio recording of the first part of the book along with a special report. You’ll also get an occasional email with stories, question-and-answer sessions, special discounts and other information not available elsewhere. You have so many inspiring and informative pieces here! I am honored you asked me to talk about myself. Obviously, I could talk for days about all kinds of things. Thank you so much, Linda, for having me on your site! It was my pleasure. I enjoyed learning about you and have downloaded a couple of books already!